It has always been a dream of mine to have my own personal library. Built-in bookshelves, a ladder, a comfy reading chair and an abundance of natural lighting, those would be the makings of my perfect home library. When we moved into our home in Edmonton almost three years ago, there was a small room at the front of the house that was perfect for setting up my little library. Of course, built-ins and a ladder weren't really in the budget, but I did have a comfy reading chair and there was a nice big window in the room. A girl will take what she can get. I had originally organized my books alphabetically by author last name, not paying attention to genre. Over time, my bookshelves became one hot mess as new books were placed haphazardly onto the shelves wherever they could fit. The shelves also became a dumping ground for knickknack's that otherwise had no home. 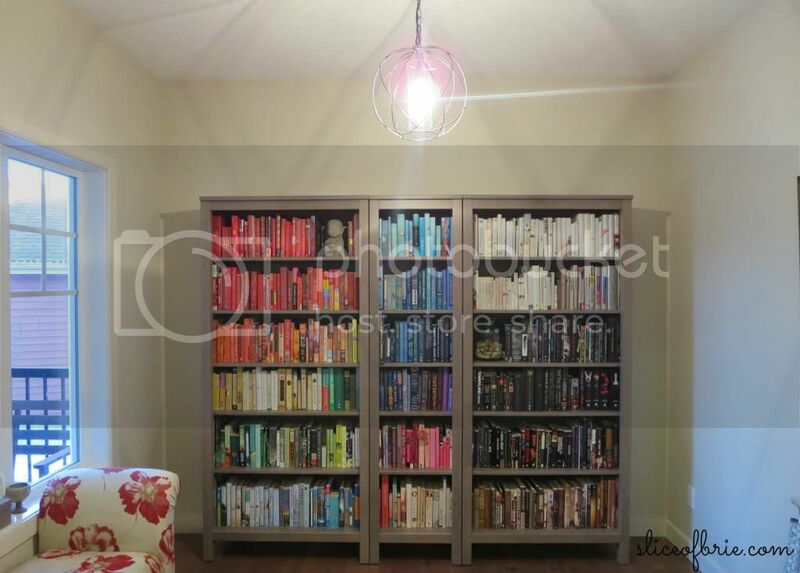 When we started to declutter, organize and clean up our home to put it on the market, I got to work on my library. It's the first room you see when you enter our home and the room is also visible from the front porch. 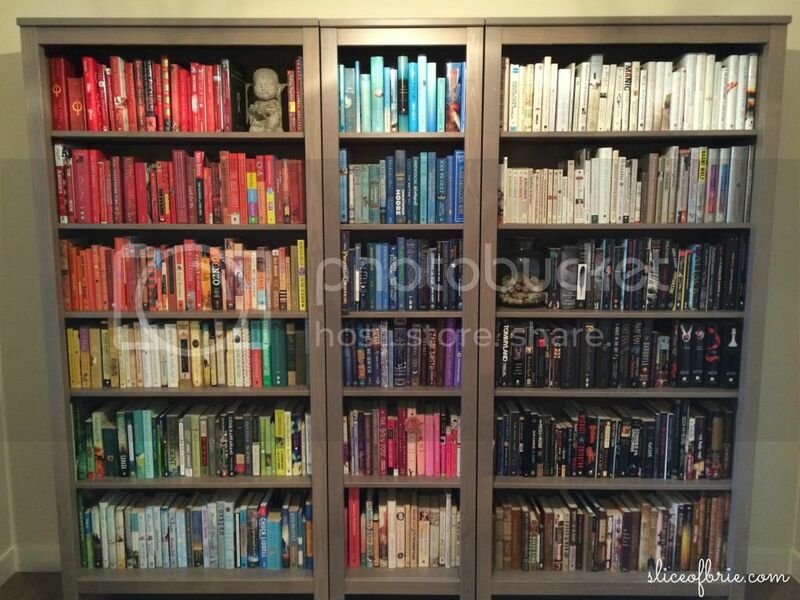 I wanted to do something I've been talking about doing for a long time: shelve my books by the colours of the rainbow. This proved to be a much more difficult and time consuming task than I ever imagined! Book spines aren't just primary colours, they are all different shades of colours. I don't know how many times I asked my mom, "is this book yellow, brown, or beige?!"? Once all the books were back on the shelf, I realized that within the colours of the rainbow I could further organize them by their shade of colour, and as I started to do this, it seemed like an impossible task so I just let it be. A few things I learned from this project: I have way more books with red spines and black spines than I thought. I assumed white and blue would be the most abundant. Trade paper back books make it difficult to have a seamless flow of colours, another reason I love hard covers more. I am in love with the final result. The lighting in this room makes it difficult to take good pictures and the effect is much more dramatic in person, but you get the idea. I often found myself in this room before me moved, staring at my bookshelves, mesmerized by the peacefulness they radiated. One day I may even go one step further and remove the dust jackets on my hardcovers for an even bolder look. 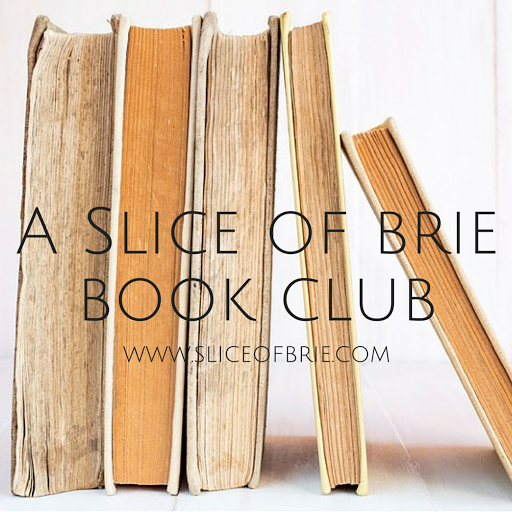 How do you organize your books at home? 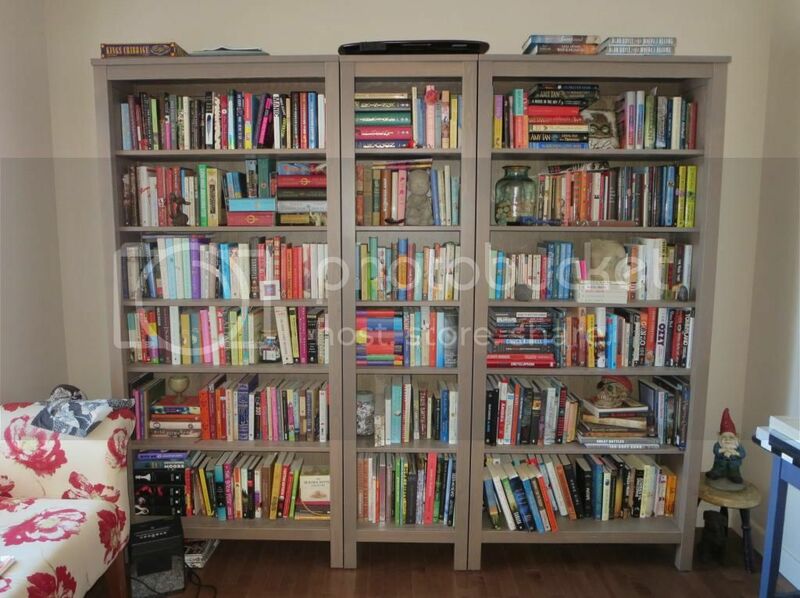 Use the hashtag #theshelfieproject on instagram if you want to show me your bookshelves! I'd love to see them. I don't keep my books so no organization for me! Haha. I tried this once and it was SO much work. I only managed to do it with one bookshelf since mine don't look as streamlined as yours. The only thing I didn't like about it was that I could never find anything. I realized I much prefer alphabetization! Haha, dude, I would LOVE to have a beauty and the beast style library in my own home!! ;) And so far, while he's into everything else, he tended to stay out of that room! Go figure! This looks FANTASTIC! I never thought to arrange them by color like that, but it must have been a fun project! So pretty! Love your bookcase!